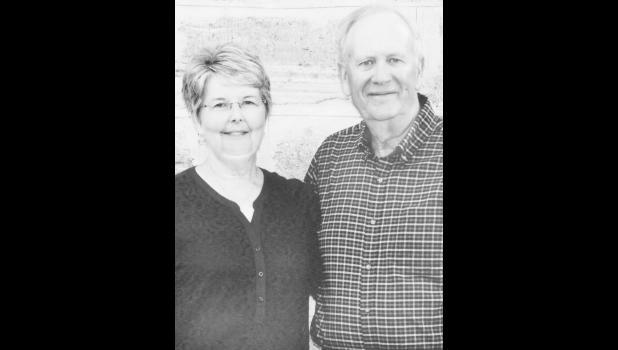 Don and Connie (Hinkle) Jones of Manhattan were united in marriage 50 years ago on June 14, 1968, at the United Methodist Church in Wetmore. They have three sons, David and his wife, Michelle, of Holton; Doug and his wife, Rachel, of Cottonwood Falls; and Jeff and his wife, Marie, of Wamego. The couple also has seven grandchildren, Joel and Grant Cawby; Isaac, Isabel and Abby Jones; and Blake and Vanessa Jones. The couple celebrated their anniversary with a family vacation to Table Rock Lake in Branson, Mo.